When Chelsea Atelier Architect designed the renovation of this New York apartment, special attention was given to the master bathroom. They created a relaxing space for a sunken bathtub by building up the floor, which is contained within its own area by a custom vanity acting as a divider, leaving room for a large walk-in shower. 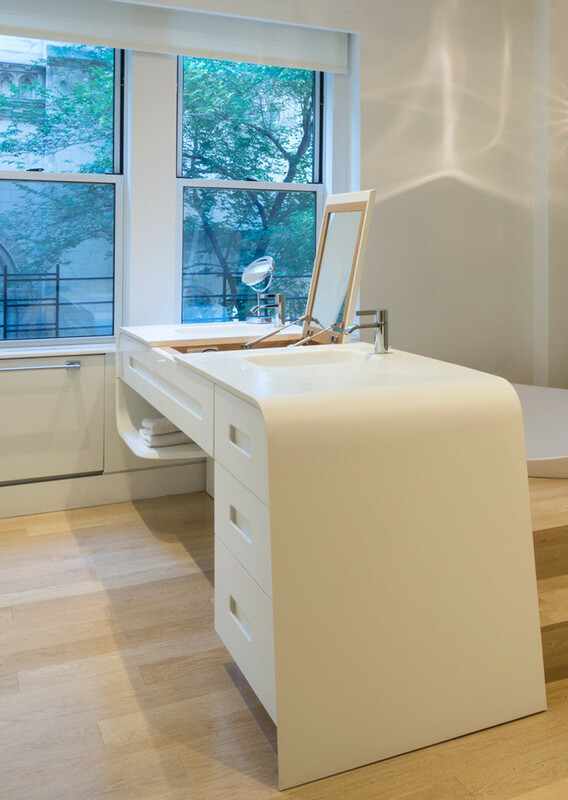 Taking a closer look at the custom designed vanity, we can see it includes double sinks, a fold up mirror, storage drawers, and a small shelf underneath for towels.